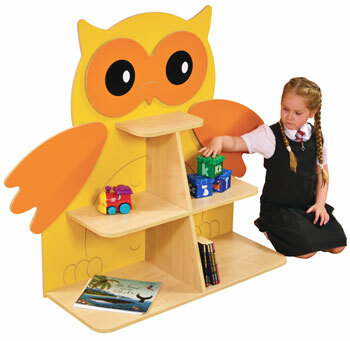 Informed choice is the key to better purchasing for your school or nursery. 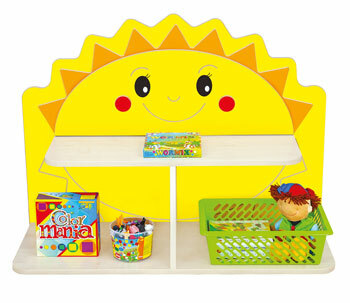 We only sell products specifically designed for use in schools and nurseries. All are guaranteed fit for purpose but as with so many things in life, if you spend a little more, you can expect to receive even better quality. 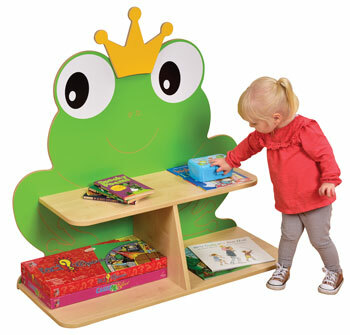 Our standard tray units (as supplied by almost all other educational suppliers) are manufactured from MFC (melamine faced chipboard) and provide a great value yet robust storage solution. 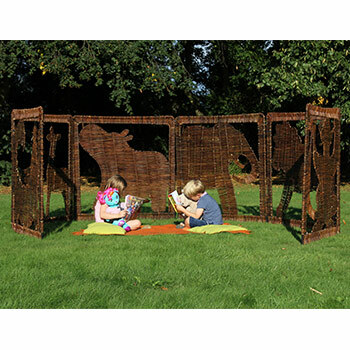 For even better quality you can choose from our Sturdy Storage range. 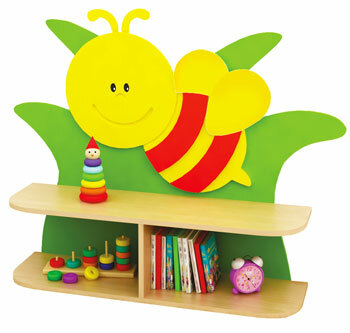 The units are manufactured from solid MDF panels which are faced with Melamine in a wide range of finishes. Sturdy Storage units manufactured from solid MDF panels are heavier, stronger and carry a five year guarantee. 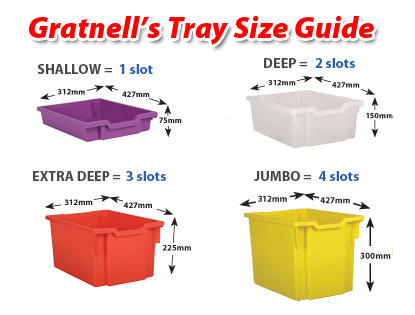 All our units are delivered free of charge, are fully assembled and include your choice of Gratnells trays. 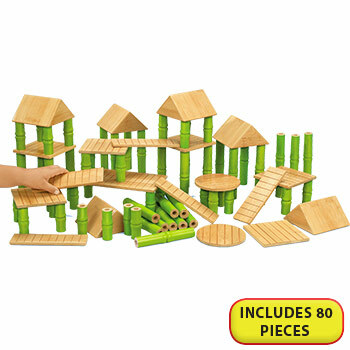 • Manufactured in 18mm MFC (Melamine Faced Chipboard). 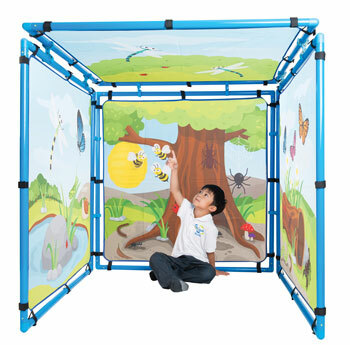 Units are strong enough to put with the rough and tumble of classroom life. • Personalise your tray unit with any combination of coloured trays. 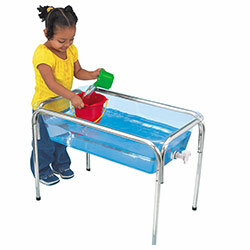 • All items are delivered ready assembled and complete with Gratnells trays. 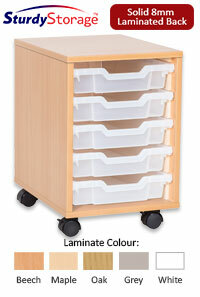 We offer a wide choice of tray colours on our standard tray units. 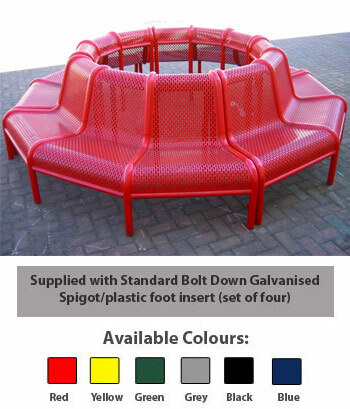 Any combination of tray size or colour is included in the price. • Manufactured from 18mm MDF - more than twice the bending strength of the equivalent MFC (Melamine Faced Chipboard) product. Greater strength offers better durability - with solid 8mm laminated back.  Fully assembled "SturdyStorage" 6 tray mobile storage unit. 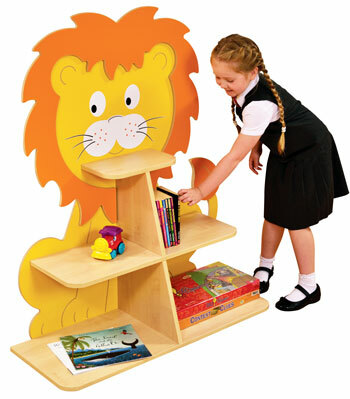  Manufactured from super strong MDF panels with a 5 year guarantee so built to last!  Choose from 5 laminate colours, mobile or static with plinth.  Customise your unit with any combination of tray sizes and colours to suit your needs all for the same price!  Your unit is manufactured to your order. 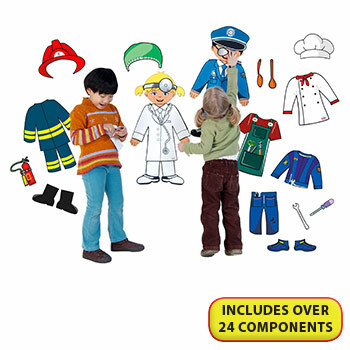  Please allow approx 3-4 weeks for manufacture and delivery.  Delivery is free of charge to UK mainland. 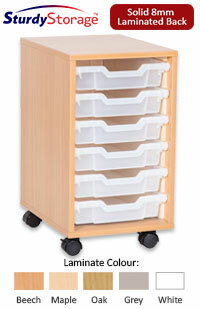  This is our standard 6 tray mobile storage unit made from 18mm MFC so is fantastic value as well as robust.  Finished with a beech effect Melamine laminate choose from either mobile or static with plinth. 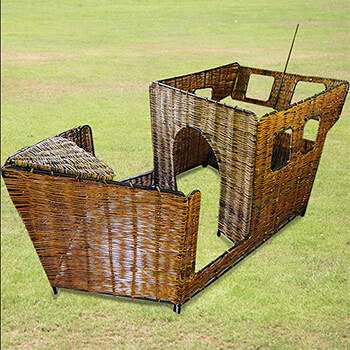  Delivered fully assembled, complete with trays and free delivery. 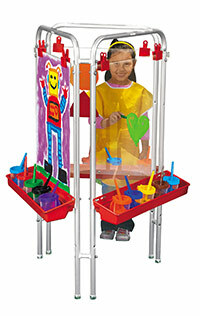  Your unit is manufactured to your order in the UK.  Please allow approx 3-4 weeks for manufacture and delivery. Delivery is free of charge to UK mainland. 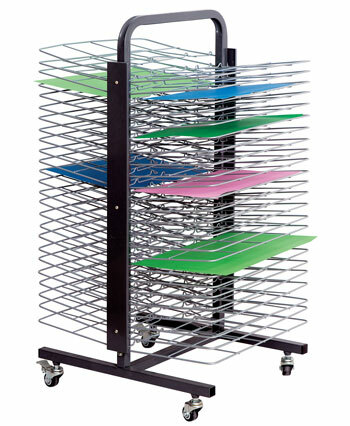  Fully assembled "SturdyStorage" 8 tray mobile storage unit. 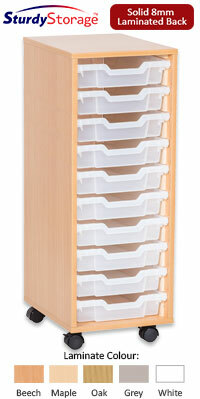  This is our standard 8 tray mobile storage unit made from 18mm MFC so is fantastic value as well as robust. 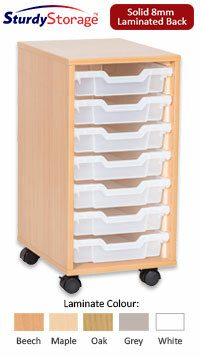  Fully assembled "SturdyStorage" 5 tray mobile storage unit. 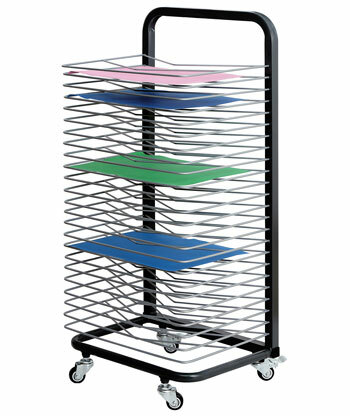  Fully assembled "SturdyStorage" 7 tray mobile storage unit.  Fully assembled "SturdyStorage" 9 tray mobile storage unit.  Fully assembled "SturdyStorage" 10 tray mobile storage unit. 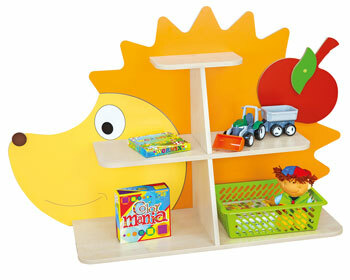  Fully assembled "SturdyStorage" 12 tray mobile storage unit. 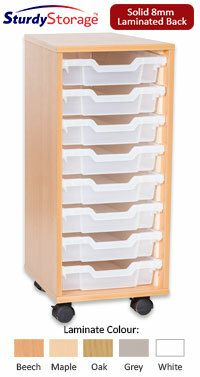  Fully assembled "SturdyStorage" 16 tray static storage unit. 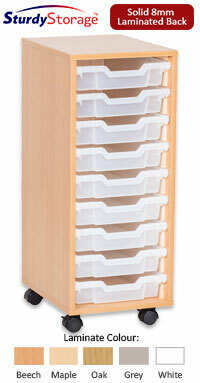  Fully assembled "SturdyStorage" 20 tray static storage unit.